All your double glazing needs covered from repairs to installations, Everglaze window solutions is your one-stop shop in and around Portsmouth covering areas like Fareham, Portchester, Waterlooville, Farlington and Havant. Here at Everglaze Window Solutions in Portsmouth we know that when it comes to top quality window and door frames, uPVC is the ideal material to make your house look good, without having to sacrifice any of the frame’s practicality. There are numerous benefits of using uPVC for the frames of any windows, doors and conservatories. Firstly, uPVC is highly durable and weather resistant, meaning that they require very little maintenance and thereby reducing your expenditure in the long run. It is also resistant to rot. Secondly, uPVC frames do not conduct heat. This means that no heat is transferred into the property, resulting in a more consistent internal temperature. By combining double glazing with a uPVC frame, you can also significantly reduce the cost of your energy bills. uPVC is also environmentally friendly and recyclable meaning that if your windows or doors need replacing, the old uPVC frames can be recycled. Not that this would be something to worry about in the short term! 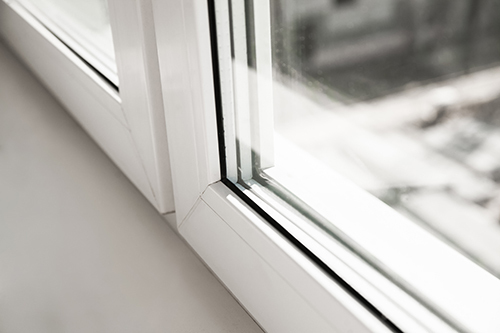 uPVC windows have a life expectancy of roughly 35 years, meaning that you would only need to replace this, at most, once during your lifetime! If you are looking for an expert uPVC frame fitter for windows, doors or conservatories in and around Portsmouth covering areas like Fareham, Portchester, Waterlooville, Farlington and Havant, give Everglaze Window Solutions a call on 07727064919, or send us a message through our contact page.